Vitamin E can help anti-aging and fights internal aging damage, particularly in the brain. A report in the May 22, 2009 edition of “Scientific World Journal” explains that supplementing with vitamin E beginning in middle age, along with exercise, can help prevent the onset of cognitive decline and dementia associated with aging and help prevent Alzheimer’s disease. 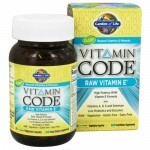 Vitamin E helps with your body’s immune functions and can help prevent or slow disease. It can also limit the effects of free-radicals through its antioxidant properties and increase blood flow, helping to refresh skin cells. Vitamin E acts as an antioxidant, helping to fight cellular aging and works in conjunction with vitamin C. When vitamin E is used with vitamin C, the aging benefits to skin are increased as the two help rebuild collagen. Vitamin C also helps revive damaged vitamin E.
Exercise speeds up metabolism which in turn beefs up the generation of free radicals. Consequently, the more one exercises, the greater the need for vitamin E. Because it’s fat soluble, vitamin E affords longer lasting protection for athletes as demonstrated among a group of professional basketball players. Twenty-four players were divided into two groups. One group received an antioxidant supplement containing vitamin E, and the other group were given a placebo. After one month of supplementation, the supplemented athletes had a 32 percent increase in vitamin E concentration, while the placebo group had a 7.3 percent reduction in vitamin E. Even “weekend warriors” can benefit from daily supplementation of 100 to 400 IU of vitamin E.
Vitamin E, more than any other vitamin, is associated with anti-aging and age-related conditions. As one ages, levels of vitamin E decline just as other antioxidant defenses break down. It comes as no surprise then, that aging conditions such as cognitive decline, insulin resistance, cardiovascular disease, cataract, and cancer may be reduced by supplementation with vitamin E.
A 7-year study of 2,889 patients at the Rush-Presbyterian-St. Luke’s Medical Center in Chicago showed that those who had high vitamin E intakes from diet and supplements had 36 percent less decline in cognitive function than those whose vitamin E intake was low. In the double-blind Cambridge Heart Antioxidant Study over 2,000 patients with coronary artery disease received a placebo pill or 400 IU or 800 IU of vitamin E daily. Truly remarkable results showed those who took either dose of the vitamin E reduced their risk of nonfatal heart attack by 77% over one year compared to the placebo group. Because antioxidants need to recharge and support each other, always take vitamin E with other antioxidants. 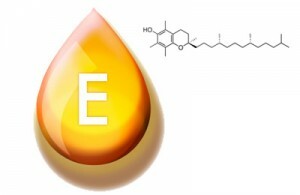 Vitamin E benefits stem from its antioxidant qualities. Vitamin E’s main function in the body is to work as an antioxidant, scavenging loose electrons—“free radicals”—that can damage cells. That means it combines with oxygen and destroys free radicals. It protects polyunsaturated fats and other oxygen-sensitive compounds such as vitamin A from being destroyed by damaging oxidation reactions. The free radical damage was involved in the early stages of artery-clogging atherosclerosis, and might also contribute to cancer, vision loss, and a host of other chronic conditions. Antioxidants protect the body from cell damage, and vitamin E is a good source of this substance. Eating a diet rich in vitamin E may prevent plaque from building up in the arteries that lead to your heart. Vitamin E protects artery walls and keeps the “bad” low-density lipoprotein (LDL) cholesterol from being oxidized. Oxidation of LDL cholesterol marks the beginning of clogged arteries. It also keeps the blood thin by preventing blood platelets from clumping together. High levels of vitamin E in the body decrease the risk of a non-fatal heart attack or stroke in most people. Free radical damage to cells is also associated with some forms of cancer. Studies have indicated that vitamin E many contribute to a decrease in the incidence of prostate cancer. Vitamin E protects cells and DNA from damage that can turn cancerous. It reduces the growth of tumors while enhancing immune function and preventing precancerous substances from being turned into carcinogens. This nutrient keeps the nervous system healthy by protecting the myelin sheaths that surround nerves. 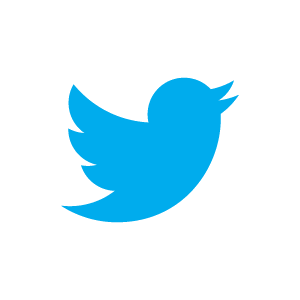 It also appears to prevent mental degeneration due to aging, possibly including Alzheimer disease. Recent studies are showing promise in the field of Alzheimer’s research. The National Institute on Aging reports that vitamin E seems to reduce Alzheimer’s risk in groups with a genetic predisposition for the disease. Recent studies have reported improved short-term memory in older adults who took supplemental vitamin E. While vitamin E may not make you live longer, it may help you live a little better as you get older. 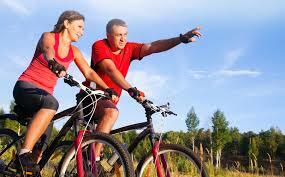 The vitamin may indeed delay or prevent some diseases or a loss of function related to aging. 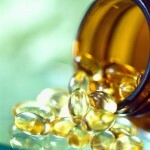 In men over the age of 65, vitamin E supplements improved immune function. Upper respiratory infections and colds were reduced. Athletes need to get adequate amounts of vitamin E. Exercise increases the body’s production of free radicals. Vitamin E reserves make sure these free radicals don’t cause trouble. Vitamin E’s protective antioxidant qualities may help reduce cellular damage and improve muscle function and recovery times. Vitamin E therapy also treats claudication-pains in the calf muscles that occur at night or during exercise. There are many more Vitamin E benefits that science is only beginning to investigate. This helpful vitamin will probably continue to make the news every so often. Multivitamin for Men is a balanced supplement for today’s busy men. It supplies a full array of essential vitamins and minerals. What are the effects of vitamin E deficiency? The main symptoms of vitamin E deficiency are hemolytic anemia and neurological deficits. Vitamin E deficiency causes fragility of red blood cells and degeneration of neurons, particularly peripheral axons and posterior column neurons. Vitamin E deficiency mainly arises from fat malabsorption. Low birth weight can also cause vitamin E deficiency. Vitamin E deficiency is a very rare problem. It causes neurological problems due to poor nerve conduction. When vitamin E deficiency does occur, it strikes people with diseases that prevent the absorption of dietary fats and fat-soluble nutrients. 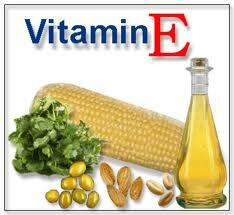 Since vitamin E is a fat-soluble vitamin, it has some of the properties of fat. Vitamin E seems to have only one function in the body: the prevention of the natural and continual process of deterioration of all body tissues. This deterioration is provoked by a number of causes; one of these is toxic oxygen. During the body’s metabolism of atmospheric oxygen, toxic oxygen is produced continuously in the body by the formation of by-products. These toxic by-products include hydrogen peroxide, superoxide, and hypochlorite. In developing countries, the most common cause is inadequate intake of vitamin E. In developed countries, the most common causes are disorders that cause fat malabsorption, including cystic fibrosis, pancreatitis, and cholestasis (bile-flow obstruction). Bile salts, produced in the liver, are required for the absorption of fats. Cholestasis causes a decrease in the formation of bile salts and the consequent failure of the body to absorb dietary fats. For this reason, this disease may result in vitamin E deficiency. Vitamin E deficiency may contribute to retinopathy of prematurity in premature infants and to some cases of intraventricular and subependymal hemorrhage in neonates. Affected premature neonates have muscle weakness. Another symptom of early vitamin E deficiency in children with cystic fibrosis is a decline in cognitive function, which results in difficulty with reading and falling behind in other intellectual skills during the elementary school years. Researchers have urged the introduction of neonatal screening in order to offset the potential effects of early vitamin E deficiency. Vitamin E deficiency in humans results in ataxia (poor muscle coordination with shaky movements), decreased sensation to vibration, lack of reflexes, and paralysis of eye muscles. One particularly severe symptom of vitamin E deficiency is the inability to walk. Attention has been given to the theory that vitamin E serves to protect against cancer and atherosclerosis. Vitamin E is one of vitamin supplements for eye health and helps prevent the eye from certain age-related eye diseases, and that are not found in many common foods. This is why you should consider taking vitamins for eye health well. Vitamin E also contributes to healthy eyes and sharp eyesight. Studies show that taking Vitamin E in combination with other antioxidants can reduce the risk of developing cataracts and other age related macular degeneration, a very serious progressive eye disease, which can cause blindness. For seniors, Vitamin E supplements can also serve as preventive measure. In a large clinical study by the National Eye Institute, findings suggested that people who take Vitamin E along with other antioxidants have as much as a 25% less chance of developing advanced macular degeneration. Also, Some studies suggest vitamin E also may play a role in preventing cataracts: In a large, long-term study of more than 3,000 adults (ages 43 to 86) in Wisconsin, five-year risk for cataracts was 60 percent lower among people who reported using multivitamins containing vitamin E or vitamin C for more than 10 years, compared with nonusers. Macular Degeneration disease affects about 2 million people in the United States alone. It is a disease where certain deposits or blood vessels under the macula can damage the rods and cone cells of the eye, causing central vision loss and in some cases leading to legal blindness. The National Eye Institute has conducted research that shows certain vitamins can greatly reduce your chances of getting macular degeneration. of the lens at the front of the eye, under the cornea. Clouding can be semitransparent or can be completely opaque, causing complete blindness. The chances of getting cataracts can be greatly reduced by taking certain vitamins before cataracts start to appear. As vitamin supplements for eye health, many eye doctors recommend that their patients supplement their diet with a daily multivitamin that contains up to 400 IU of vitamin E in combination with other antioxidants as part of their preventative eye care. The eyes are probably the most important organ connected to the senses – we use our eyes every day for literally every task our body performs. Eyes, like all other organs, need certain vitamins to stay healthy and work well into your later years. To take certain vitamins can significantly reduce your chances of vision loss. Taking Multivitamin for Men including Vitamin E – one of vitamin supplements for eye health — is one way in which you can decrease your chances of getting the burdensome vision loss and eye disease that occur as we age.